While it's box office run is winding down, and it hasn't cracked the domestic top 10 in a few weeks, another Wonder Woman box office milestone was passed when the movie crossed $800 million worldwide. The movie earned an estimated $1.1 million at the domestic box office this weekend good for 12th place, pushing its domestic total to $404 million, and with the $396 million its earned overseas, it has earned just over $800 million worldwide. The movie is certainly a smash hit, working from a $149 million budget that breathed new life into Warner Bros. struggling DCEU, with this movie out-grossing the first two DCEU movies Batman v. Superman: Dawn of Justice and Suicide Squad at the domestic box office. Box Office Mojo reports that Wonder Woman currently stands as the second highest-grossing movie of the year at the domestic box office, although it has virtually no shot at catching the number one movie, Disney's Beauty and the Beast, which has earned $504 million domestic. 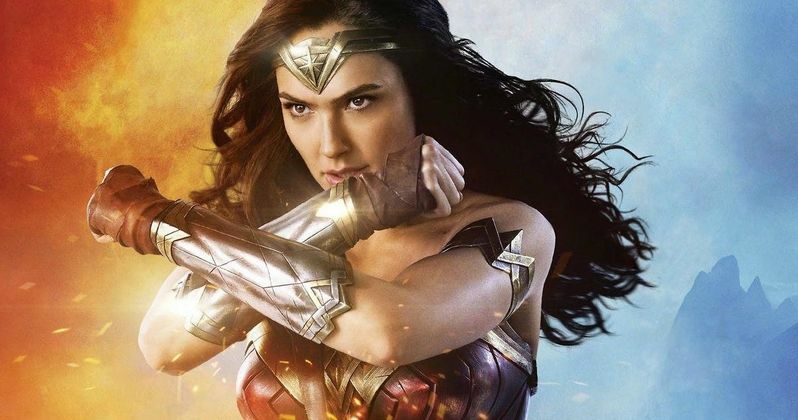 Wonder Woman, which stars Gal Gadot as Diana of Themyscira, also ranks as the fifth highest grossing movie worldwide this year, behind Guardians of the Galaxy Vol. 2 ($862.2 million), Despicable Me 3 ($948.4 million), The Fate of the Furious ($1.23 billion) and Beauty and the Beast ($1.26 billion). While it seems very unlikely that Wonder Woman will move up the charts any further, it's still an impressive performance. While the first two DCEU movies, Batman v. Superman: Dawn of Justice ($330.6 million domestic, $873.2 million worldwide) and Suicide Squad ($325.1 million domestic, $745.6 million worldwide) fared well at the box office, both were bashed by critics, but that was not the case with Wonder Woman. Director Patty Jenkins' blockbuster was universally beloved by fans and critics alike, with an impressive 92% rating on Rotten Tomatoes. Before she was Wonder Woman (Gal Gadot), she was Diana, princess of the Amazons, trained to be an unconquerable warrior. Raised on a sheltered island paradise, Diana meets an American pilot (Chris Pine) who tells her about the massive conflict that's raging in the outside world. Convinced that she can stop the threat, Diana leaves her home for the first time. Fighting alongside men in a war to end all wars, she finally discovers her full powers and true destiny. The Wonder Woman cast also includes Connie Nielsen as Hippolyata, Robin Wright as Antiope, Danny Huston as Luddendorf, David Thewlis as Sir Patrick, Saïd Taghmaoui as Sameer, Ewen Bremner as Charlie, Eugene Brave Rock as The Chief, Lucy Davis as Etta Candy and Elena Anaya as Dr. Maru. We reported last month that the inevitable sequel Wonder Woman 2 will be set in the 1980s, which would allow the production to bring back Chris Pine as Steve Trevor, although they would likely have to age him up quite a bit. The studio has announced a December 13, 2019 release date, but no production schedule has been announced for this Wonder Woman sequel, but rest assured, it will still happen, especially considering how big of a hit the first Wonder Woman movie truly was. Hopefully we'll find out more about the sequel soon, as the box office run for Wonder Woman starts to die down.